For most high-end gaming PCs you're unlikely to need a 1KW PSU unless you're talking quad, or triple-SLI. 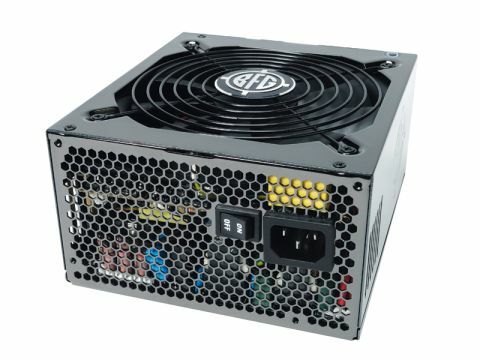 With that in mind, the 700W-800W point provides sufficient power overhead for most systems and the opportunity to add in an extra graphics card or two later on down the line. The 800W BFG is significantly pricier than the more feature-heavy Type-R 680W supply, but it does have better energy efficiency, especially at lower power loads. Unfortunately, it ends up running very hot once you hit full load, topping the 40ºC mark, so you're going to need a well-ventilated case. Despite this, it's an impressive unit, which comes bundled with four PCI-E connectors, leaving you ready for a conservative multi-GPU set-up.